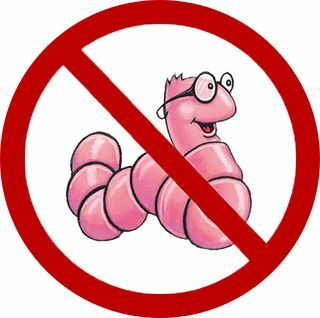 CanadaVet.com Blog: Top 5 Worm Tips! Keep your pet safe and sound from any worm trouble by following these top 5 worms tips! Prevention is best so keep up-to-date with worming treatments all year round. Make sure the products you are using cover the major worms: hookworm, roundworm, heartworm, tapeworm, whipworm. Be aware that it is possible for some types of worms to be passed onto humans. Pet owners must keep good hygiene and wash hands reguarly after playing with pets. For more information check out this month's article on everything you need to know about worms or view our complete range of worming products. US citizens have always known that prices for pet meds are cheaper north of the border. With the convenience of online shopping, Canadavet brings those savings right to your door! By being based outside the USA, we can pass on terrific price savings on pet meds to our customers in the USA and the rest of the world while still ensuring first class reliability and customer service. Canadavet employs fully qualified, licensed, practicing veterinary surgeons to carefully check all the products sold to ensure that they are the best available. Win 1 of 3 CanadaVet Pet Gift Packs!